There are some things that are so delicious, it baffles me to discover how simple they are to make. This is ginger limeade is one of those. It’s a bit like a ginger lime tonic, a little tangy, a little sweet, and packs a little ginger heat. Here’s it’s story ..
After spending a morning touring the mountainside and rice terraces of Ubud, Bali, I thought I was going to melt. I was hot. And sticky. And tired. But having fun just the same! Upon arriving at the Four Seasons Bali at Sayan for lunch, I was handed a cold drink that looked like lemonade, but one sip had me feeling completely restored. It was cold, yet packed a spicy heat, zesty, yet sweet. It was their signature Balinese gingerade and I had not one, but three of these within the span of a half hour. Yes, I liked it that much. Balinese cuisine is known for fresh ingredients, lots of fragrant roots and spices, and a focus on wellness (Really, the whole island feels like a yoga studio.) 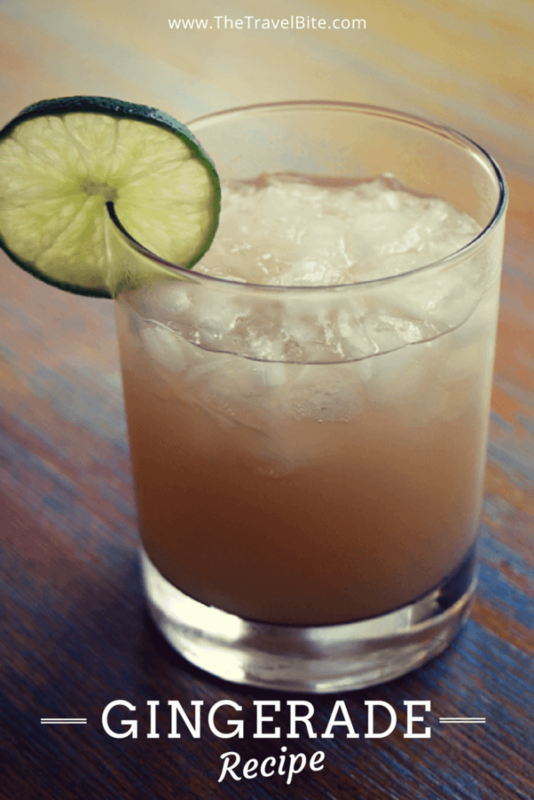 And this ginger lime tonic will revitalize you on a hot summer day, and cure a winter cold. I pitcher of this ginger lime tonic is always in our refrigerator. I have a few step-by-step photos to go with the recipe below. It’s fairly easy. We make a pitcher of this ginger limeade every Sunday. Sometimes, it even lasts us until Tuesday. It’s so good it’s usually gone. 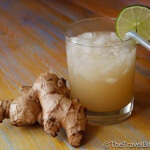 Pulverize the ginger using a food processor, then pour 4 cups of hot water to make a tea. Let it steep for 10 minutes. Add the honey to the lime and ginger mixture. Stir well. Then add 4 more cups of water and serve on ice. 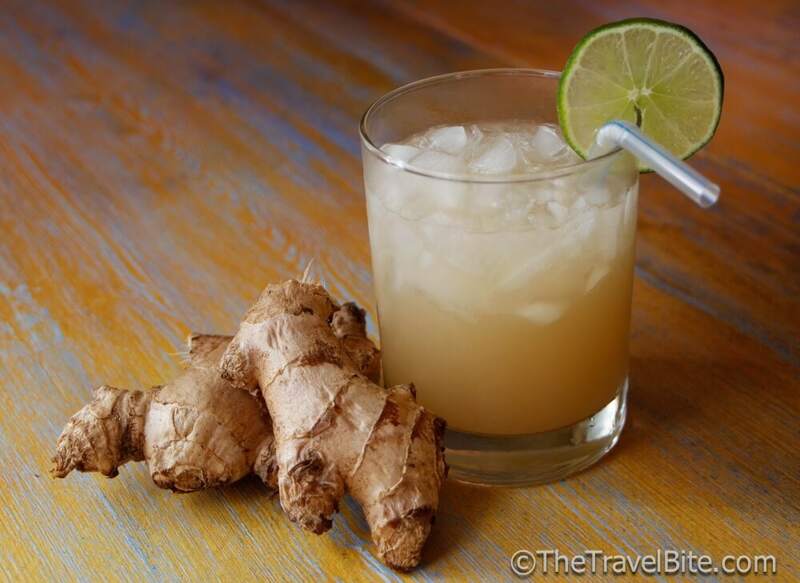 A zesty ginger beverage that’s sure to refresh you in summer heat or ward off a winter cold. Discovered at the Four Seasons Resort Bali at Sayan. Carefully peel the ginger root using a carrot peeler or sharp knife and then cut the root into smaller pieces. 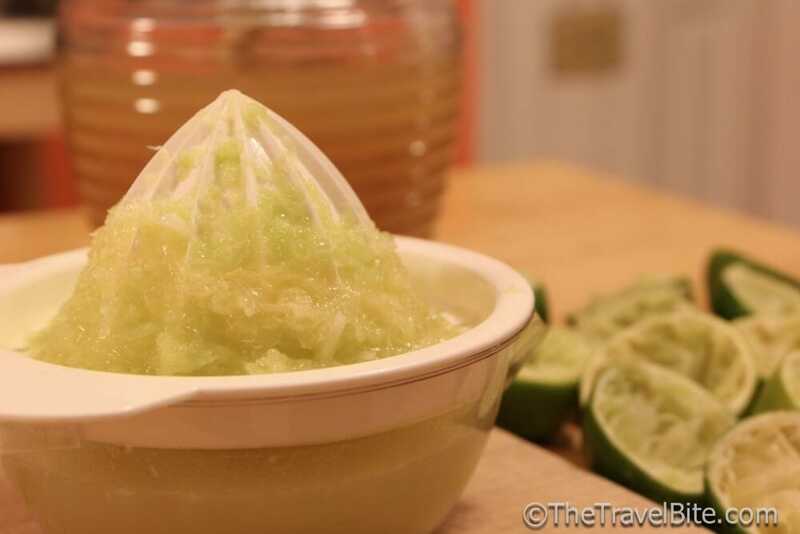 Don’t worry about removing all the skin since you’ll pass the juice through a strainer. 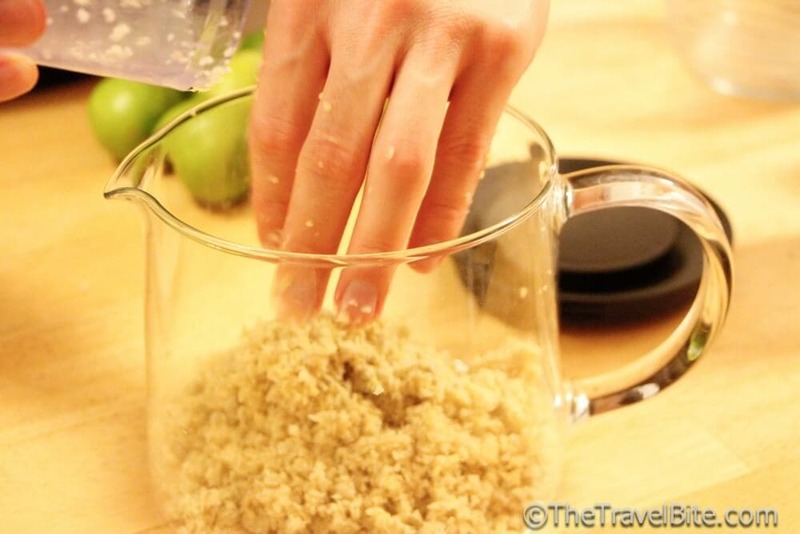 Add the ginger pieces to a food processor and pulverize to a chunky pulp. Add the ginger to a tea pot. 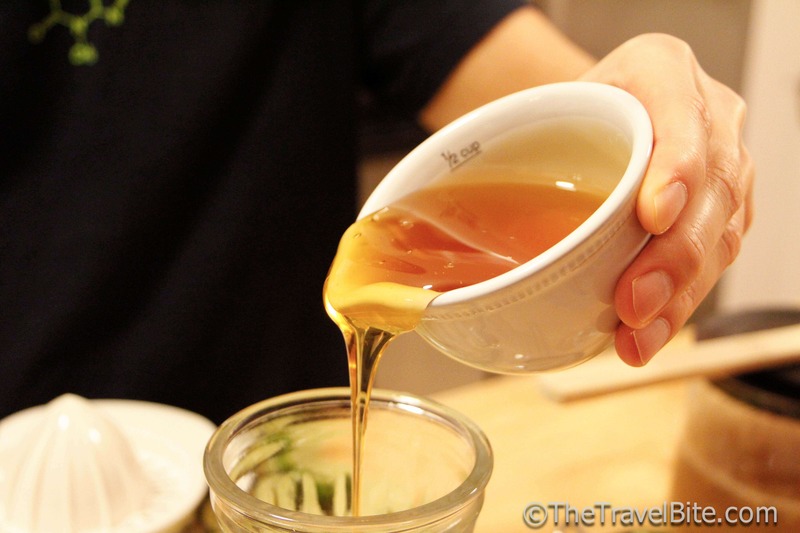 Bring 4 cups of water to a boil, then pour the water over the ginger in the tea pot as if you were making tea. Let it steep for 10 minutes. 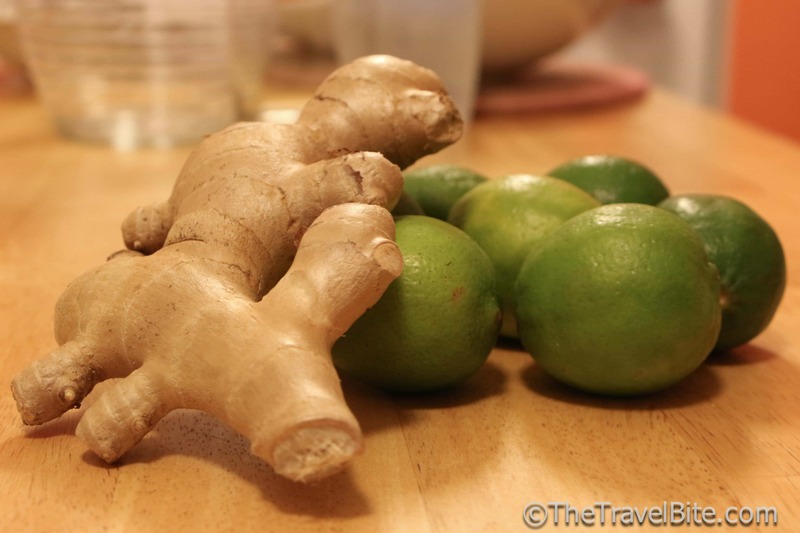 While the ginger is steeping, roll the limes between your palms and the counter top to loosen up the juices. 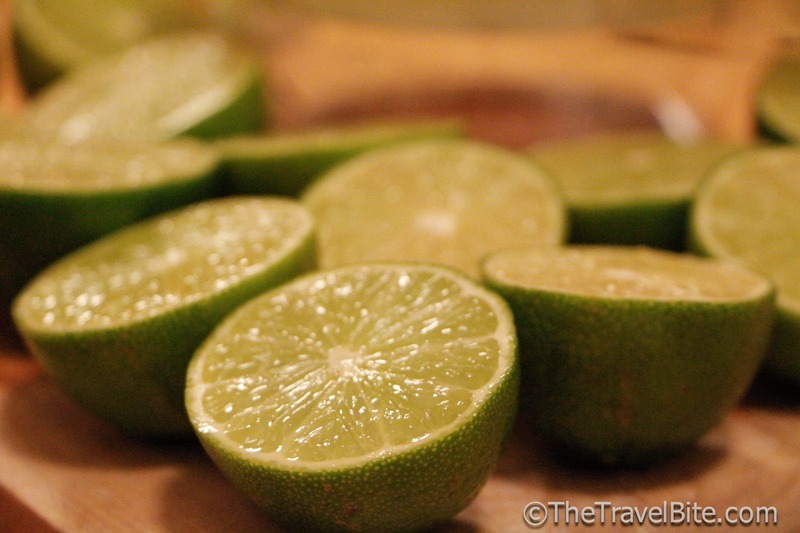 Then cut them in half and juice the limes using a citrus reamer or juicer and pour the lime juice into a pitcher. 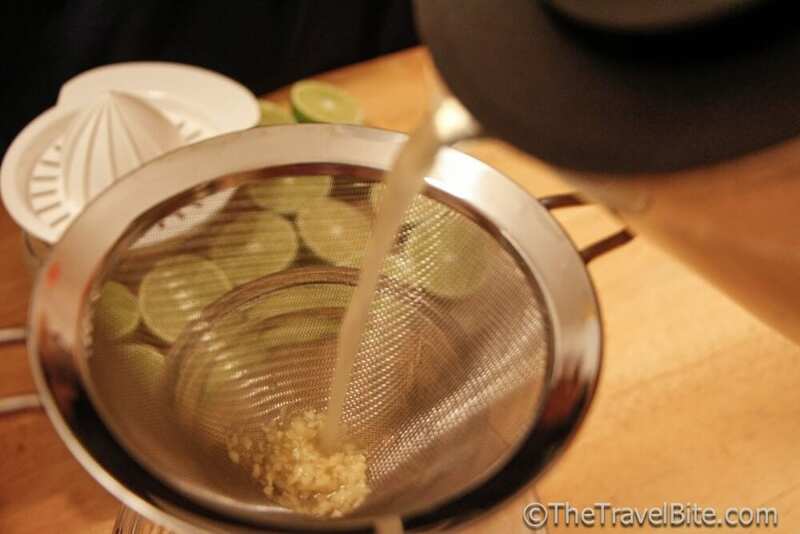 After the ginger is finished steeping, pour the ginger tea through a mesh strainer into to pitcher with the lime juice. Next ddd the honey and stir until dissolved. Add the remaining 4 cups of water, or for a natural ginger ale, add 4 cups of seltzer water instead. Wow that looks really delicious! I have to try it out…thanks for the share! Oh that looks so good, the only thing that would make it better, would be to be drinking it in Bali. LOL! Most definitely! Cheers Greg. Seriously my mouth is watering just reading this. yum. Ginger is a good remedy for an upset stomach too. This drink would be good for the dreaded Bali Belly. Ginger is great for that! Thankfully, I didn’t get Bali belly while I was there. But Costa Rica … that’s a different story. 😉 I usually keep some ginger chews and Imodium in my bag just in case. That would be good with whiskey. Oooh! That’s a twist. I’m a G&T fan, so I might have to swirl it with some gin. OMG! This is THE drink from my trip to Bali – we didn’t stay at the Four Season’s (out of our budget) but we stopped for a drink and I loved this. It is amazing – and I’m just so tickled to have the recipe for this. Thank you! 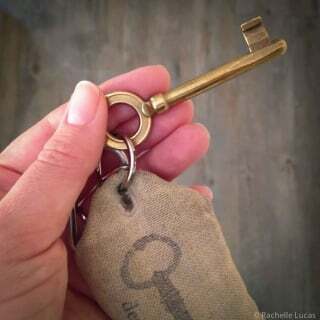 Don’t you love it! I drank as many of those as I could while in Bali. Now I make it every week here at home. The ingredients are simple, just take a little love and effort with the fresh ginger. Worth it every time! 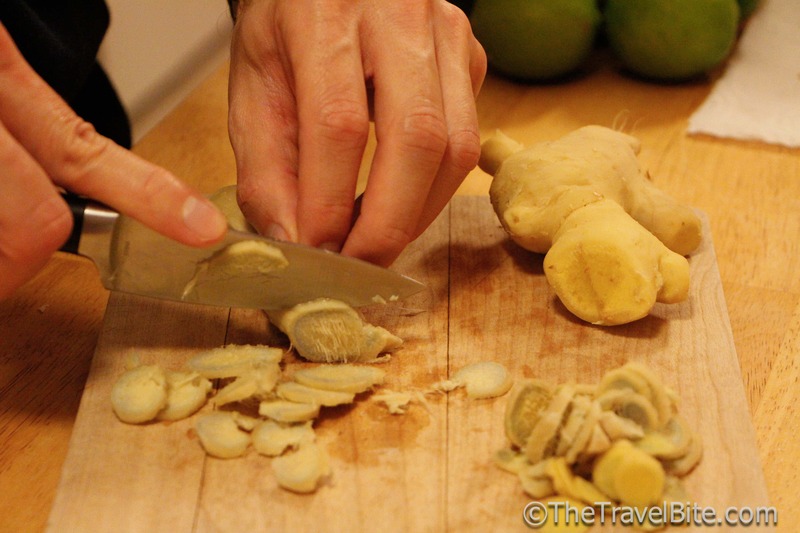 Save a bucket of time and peel your ginger with a spoon! Cool refreshment with a kick! I just made this but I didn’t peal the ginger and I boiled it in the thermomix for 5 minutes. I can hardly taste ginger- just an awful burning taste. What bit did I do wrong?! Hmm. Perhaps try again with pealing the ginger (the bark might transfer a bitter flavor). Also, I typically steep mine for 10 minutes. How much honey did you use? Typically the honey cuts the fieriness of the ginger. Just out of curiosity and with the hope of mastering the recipe…what does it taste like before adding lime and honey? Terrible? I tried this gingerade recipe and though I don’t have ice to make it more refreshing, it is delicious! It’s spicy and sweet, a wonderful combination. Thanks so much for sharing this. I tried gingerade today for the first time, and I loved it. 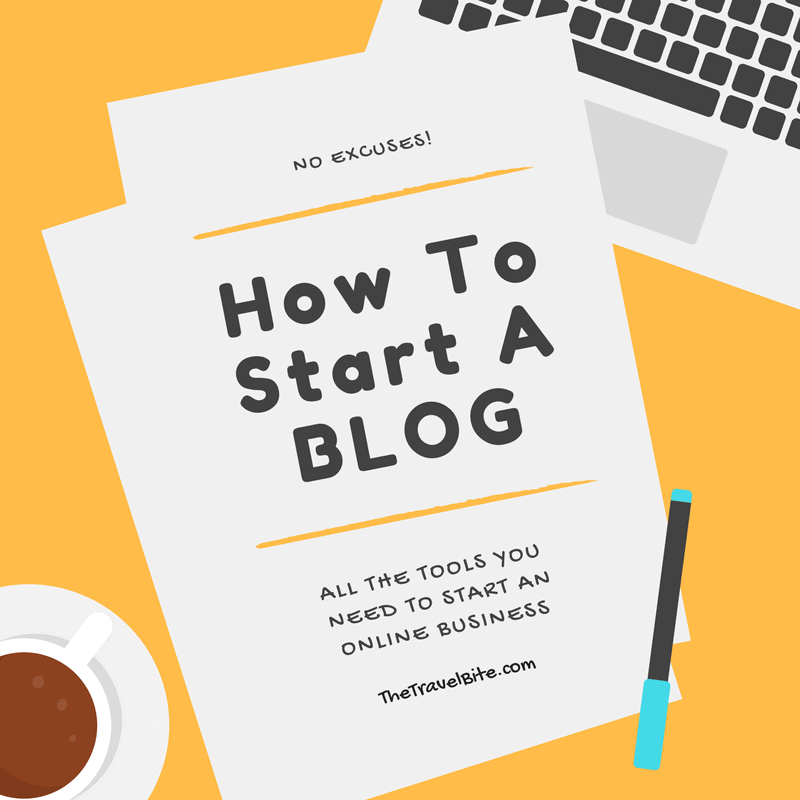 Thank you for sharing an easy way to make it. 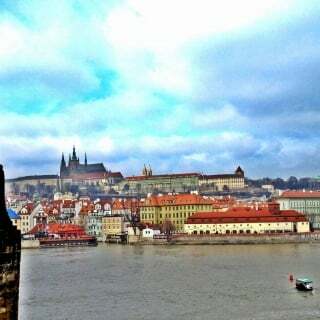 Can’t wait to make it!! I made this a few times since seeing your post. LOVED it and I made it for a party as well and it was a hit. One question, how do you dilute the bitterness? I added more honey. Is the bitterness from the limes. Either way, I love it and it is now a staple in our home. It might be the limes. Too much ginger would give you heat, but the limes are can be what is making it tart. Made this a couple of days ago for my wife and I. We loved it. Even my 4 year old son liked it! Will be making this daily threw out the summer! Thanks for sharing! You will feel healthier after the first sip!!!! How long does this beverage keep? This has become a staple in our home. We make it 1-2 times a month and keep it in the fridge. Enough that I’ve found some short cuts. First, you don’t need to peel the ginger much at all. I just rough chop it before I purée and boil. Gomes our the same. Second, a premium bottle of lime juice saves a lot of time and energy. And third, you can substitute lime juice for lime aid. It’s a bit smoother and negates the need for much, if any, extra sugar depending on your tastes. Ooh! I love a good shortcut. your article is very good. I can’t wait to try it with my family. Thank you for sharing ideas with me. I’m waiting for your next article.